Playing soccer with friends one weekend, Trevecca senior Carlos Coca overheard some of the other players talking about a hackathon being hosted at Vanderbilt University. That sparked an interest in Coca, an IT major. He had to know more. “I decided to go home to do some research,” Coca said. That research ended with Coca entering VandyHacks V, held Nov. 2-4 at the Wond’ry, Vanderbilt University’s center for cross-disciplinary collaboration, innovation and entrepreneurship. The hackathon, an annual event, is now in its fifth year. Hackathons give students the opportunity to collaborate with others to create and innovate ideas in computer programming. They typically last about 48 hours, and participants are challenged to complete a project or prototype during that time frame, such as creating web or mobile apps. 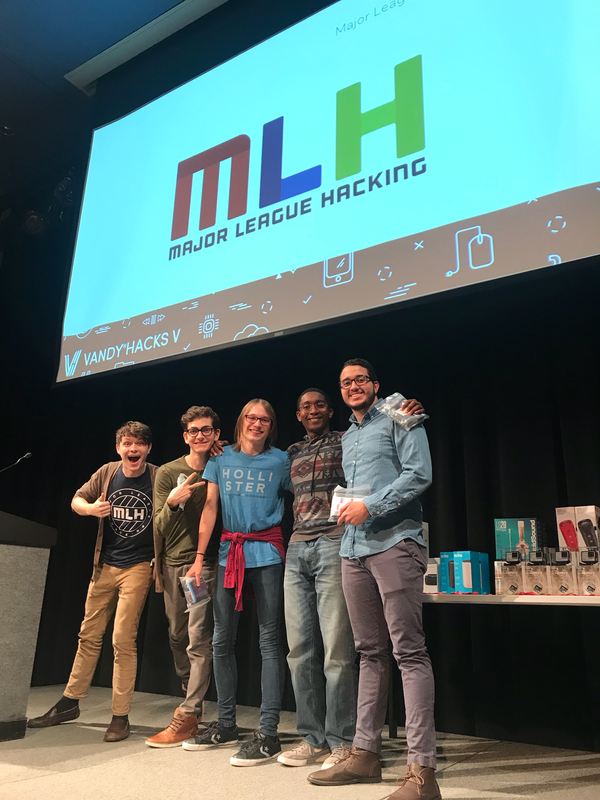 Since the VandyHacks competition is open to students from across the world, Coca and his team, made up of students from London and Washington University in St. Louis, competed against students from across the country and around the world. Roughly 600 students participated in the event, sponsored by companies such as Microsoft Google and Tractor Supply Co., among others. “The selection process is very rigorous and by being accepted, I felt was a huge accomplishment,” Coca said. During the competition, Coca and his team created a customer-based web app called Ride.fyi. It’s a responsive web app that gives travelers the most cost-effective way to move from point A to point B using available transportation options, such as Uber, Lyft and even Byrd scooters. To create Ride.fyi, Coca and his team had to first develop a hybrid application programming interface or API (a software intermediary that allows multiple applications to talk to each other) that joined public APIs. The team accomplished this in 37 hours. Coca’s team took home four sponsored awards from Centene Healthcare Company, ForceX (Homeland Security Company), RedVentures (data infrastructure), Major League Hacking (worldwide hacking organization), domain.com and Google Cloud Award here.com. Coca says his contribution to the project was difficult as a first-time coder, but that his classes in Trevecca’s Department of Information Technology and Design aided in his success. “Trevecca helped me learn how to work on a team and collaborate,” he said. “There is no other way we could have accomplished this work in 37 hours."